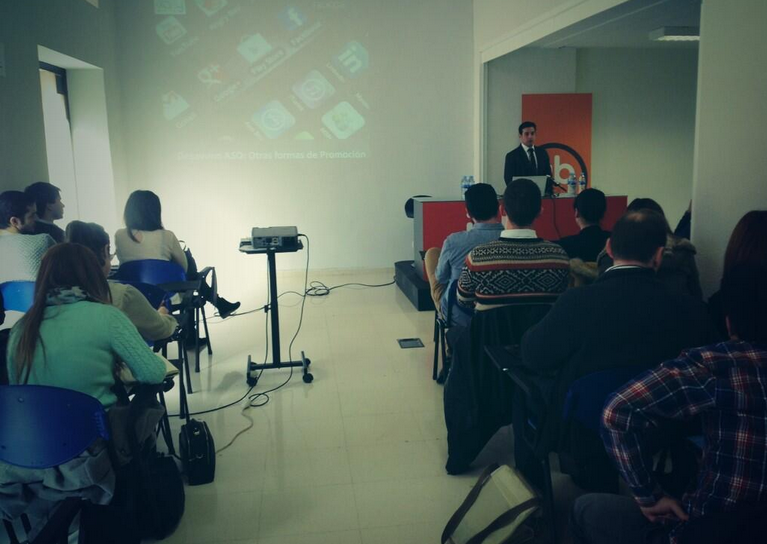 On 26 March, we attended the breakfast organized by IAB Spain in Madrid. This association represents the industry of advertising, marketing and digital media in Spain, and through their Themed’s breakfasts aims to introduce and discuss various hot topics for the sector. This time, the theme was ASO (App Store Optimization). The speakers, all of them media professionals such as Jesus Velasco , Marketplace Director Vodafone, Judith Gomez, Head of Mobile Strategy iProspect , Luis Pojan , SEO Coordinator of iProspect and Javier Correro , Head of B2B Froggie ( mobile marketing company within the Crazy4Media group) . Shortly and to the point, they give useful tips for users, they pointed the importance of optimizate mobile apps on the app store as a key factor for increasing downloads and consequently drive up your profits. Javier Correro , remark the importance of making ASO efforts for better natural positioning on stores and get more downloads with a small budget. Mainly, the use of SMS as a fundamenta and low cost tool to booth the app’s profits( 6 cents per impact). It helps promote downloads and get feedback from users to improve and personalize the service offered by our app . He also noted the importance of a multi-channel strategy for a successful promotion of the mobile applications . As a Froggie member , Javier was able to show to the assistants the experience gained over the years working at this field. SMS and Apps, an ideal marriage!